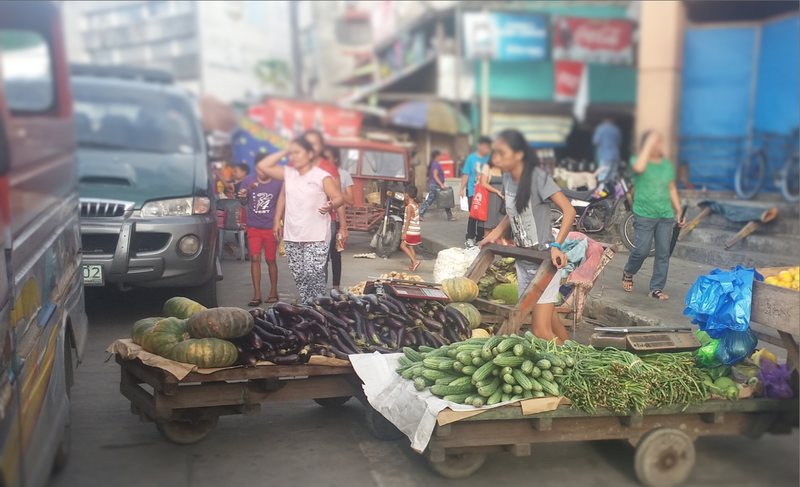 This is the second of a three-part series about the informal loan negotiation practices between ambulant vendors and a group known as "Bombay 5-6 lenders" in Tacloban City, Philippines. Dula and Grego describe the effects of these lending practices on the household and business activities of vendors who live and work on the edge of a precarious existence. Tacloban City is the center for trade, commerce and culture in the Eastern Visayas Region of the Philippines. It has attracted both local and multinational franchises to invest in the city. At present, Tacloban City has a total of 43 financial establishments comprised of 15 bank companies and other formal financial institutions from government and private sectors. 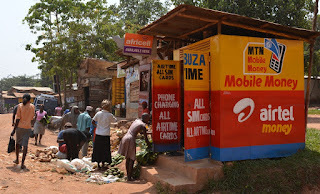 On the other end of the spectrum are the informal money lenders who are thriving in the area. The most interesting of these are the Bombay 5-6 lenders who, based on word-of-mouth, have been continuously operating and dominating this business for the longest period. A majority of their client base are those engaged in micro-scale businesses like those of the ambulant vendors. Our study used purposive sampling to identify as respondents a total of 100 ambulant vendors who have existing loans from Bombay 5-6 lenders. The study looked into respondents’ socio-economic and business profile, the determining factors of preference that led ambulant vendors to strike a deal with Bombay 5-6 lenders in Tacloban city, and the loan negotiation practices of lenders and ambulant vendors. Females comprised seventy-eight percent (78%) of all respondents. Lenders consider it to be easier to begin business relationships with female ambulant vendors than with male vendors (Sonny, Bombay 5-6 lender). Aside from the actual instances where it is mostly women who are left to oversee and operate the business, women are often highly approachable and can easily be pressured to re-pay debts. In contrast, their male counterparts are described by lenders as stubborn and not easily persuaded to repay. A Bombay 5-6 lender would typically lend money to a male ambulant vendor with quite a bit of hesitation. In addition, women - especially the wives of male vendors, are customarily the ones who manage financial matters in a Filipino household. Forty-eight percent (48%) of the respondents depend solely on their entrepreneurial income, which averages to P10,001 – P15,000 per month, to cover all their business and household expenses – from food, to utilities and education, among others. Forty-one percent (41%) of the respondents are engaged in street food vending. 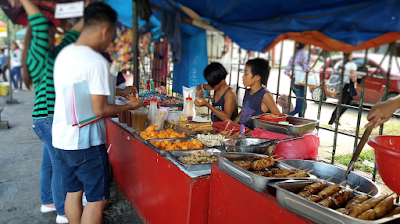 Street foods are both budget-friendly and handy at the same time, making it very popular among Filipinos. On an ordinary day of hustle-bustle in the city streets, it is usual to see pedestrians stopping to grab some street food as they go about their day. Prices per serving seldom exceed twenty pesos (approximately USD 0.50). Banana cue, camote cue, fishballs, squid balls, hotdog on a stick, kwek-kwek and tokneneng, kikiam, sorbetes, peanuts, corn, batchoy, and barbeque are some of the street foods sold near schools, churches, plazas, and public transport terminals. Street food vending requires a small starting capital, and its appeal for ambulant vendors gets an added boost from its potential to realize a return on investment within a shorter period of time (Domingo Omoy, Sr.). An aggregate of eighty percent (80%) of our respondents’ loans are taken out as capital for starting or maintaining their businesses. Forty-nine percent (49%) of respondents’ loan transactions were offered by a Bombay 5-6 lender. Instead of offering cash loans up front, Bombay 5-6 lenders will initially entice their client to purchase various goods to be paid for on an installment basis (Ligaya, ambulant vendor). Beach umbrellas, towels, and appliances are some of the first commonly recommended goods. It is even amusing to learn that beach umbrellas – aside from providing shade – also serve as an indicator among ambulant vendors of those who have messed up with Bombay 5-6 lenders. 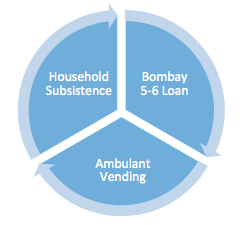 On the very first transaction, Bombay 5-6 lenders do not directly mention the total cost of the merchandise they sell. They undermine clients’ prudence by blowing the small details out of proportion so that numerical figures appear to be clearly surmountable. A transaction amounting to PhP500.00 will be carried out as a good sold for only PhP25.00 per day in a 20-day period (Maricel, fruit vendor). Trust and confidence built up through the debtor’s good payment standing becomes the basis for a Bombay 5-6 lender to eventually offer a cash loan. The sum offered depends on the value - inferred by the lender - of the merchandise on display. More volume and variety of merchandise suggests a larger amount is dispensable. A borrower’s background is not checked, hence also making the lender vulnerable to acts of deception. 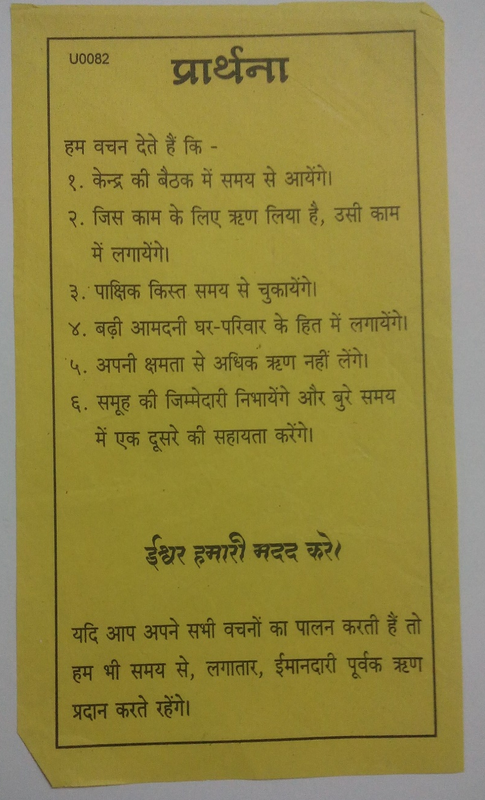 For instance, in an isolated incident, a person pretended to be one of the ambulant vendors by borrowing goods and merchandise from a friend, occupied a space in the open thoroughfares as if they were the owner, and was thus able to borrow money from a Bombay 5-6 lender. The following day, the perpetrator was nowhere to be found (Evelyn, ambulant vendor). Loans are paid out daily for a nominal 45-60-day period. However, the loan duration may be shortened or extended depending on the capacity of the vendor to pay. Bombay 5-6 lenders conduct their daily collection routine during idle times in the afternoon when most, if not all of their clients have already accumulated money from sales. 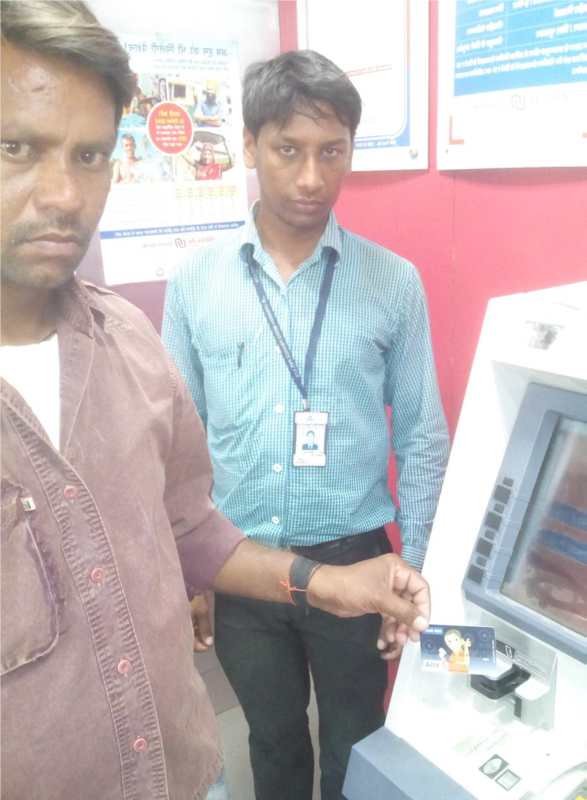 Bombay 5-6 lenders explained that they collect payment on a daily basis in order to check up on a client’s business status and to ensure that the latter will be repaying the loan in manageable amounts. For the ambulant vendors, this arrangement is preferable in order to circumvent the burden of paying the full amount all at once and reducing the likelihood of the amassed funds being misappropriated. Collection is sometimes undertaken by the lender alone or in groups. 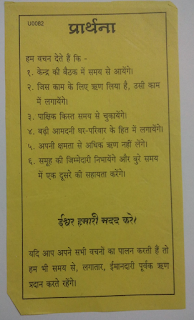 On rare occasions, a Bombay 5-6 lender is accompanied by a local in anticipation that this will guarantee them safety. In worst cases where a robbery can’t be averted, the local individual can help them identify the culprit. 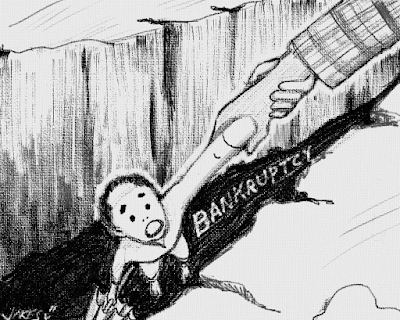 Sonny recalls incidents of robbery that have occurred over Bombay 5-6's twenty-five years of money lending operations in Tacloban city, but they reported none of these to authorities. Seventy-eight percent (78%) of the respondents in our study reported some experiences of default in repayment. A majority (67%) of all such cases were attributed to lack of sales. To mitigate the consequences, most (83%) of the respondents who were in default pleaded for an extension, while others (10%) doubled their payment the next day. On the worst end of the arrangement are those in the remaining seven percent (7%), who secured yet another loan from another source or multiple sources in order to repay their loan to the Bombay 5-6 lender. Sonny explained that lenders grant extensions in order to regain the capital they lent to vendors. But for vendors without a good repayment standing, further loans will not be granted. Bombay 5-6 lenders do not take goods as payment. They only accept cash. In extreme cases where the vendor is at a great disadvantage and can’t keep up with repayments, lenders arbitrarily lower the interest rate to help clients liquidate their debts. The hallmark of informal lending is a lack of fuss over documentation. Thus, keeping a record of payments is not much of an issue for either the ambulant vendors or the Bombay 5-6 lenders. 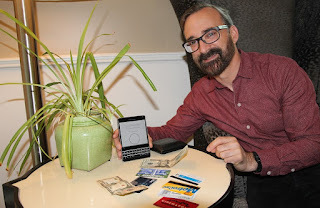 Payment records may be written on a notebook or a piece of paper and kept by either the vendor or the lender in some cases, while others don’t record payments at all. Bombay 5-6 lenders are the most preferred lenders according to the majority of the respondents in our study, based on the following attributes arranged in descending order: 1) no collateral, 2) no imprisonment, 3) no formal requirement needed, 4) easy and fast loan transaction, 5) fast cash, 6) Bombay 5-6 lenders are approachable 7) accessibility, 8) flexible mode of payment, and 9) they have no other choice. Many respondents prefer informal lenders even if the interest rate is high because the borrower’s transaction cost is minimal (Limpao-Osop, 1998*). Other than the interest rate, the borrower does not incur additional costs such as commissions, application/processing fees, other indirect charges, or transaction costs such as feasibility studies and financial statements, among others. *Limpao-Osop, Arah D. (1998) "Case Study Informal (5-6) Money Lenders." Final Draft. November 23, 1998. Unpublished Report for Chemonics International Inc. Davao City, Mindanao, Philippines. Under contract No. 492-C-00-98-00008-00 USAID Office of Economic Development, Manila, Philippines. Pp. 1-21. 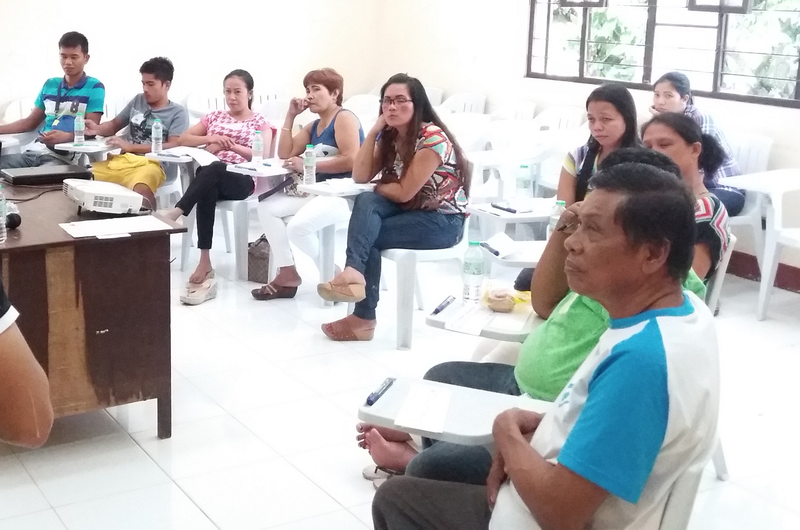 This is the first of a three-part series about the informal loan negotiation practices between ambulant vendors and a group known as "Bombay 5-6 lenders" in Tacloban City, Philippines. 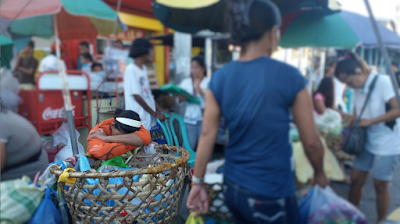 Dula and Grego describe the effects of these lending practices on the household and business activities of vendors who live and work on the edge of a precarious existence. October 15th: a sunny day in Tacloban City, Philippines, and yet another busy day for Domingo Omoy Sr., 63 years old, and his 59-year-old wife, Paula. They have 3 children to feed and send to school. They’re one of the families that have worked as ambulant vendors, rolling their business on the streets of the city, for more than three decades. Early this morning, Domingo went to the public market to buy the necessary supplies for their food vending business; afterwards, he and his wife began preparing various food stuffs. At around 8am, Domingo pushed a cart containing their merchandise to a nearby school where they set up before the class break. 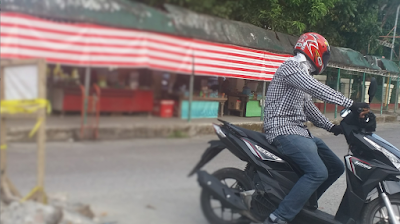 Around 3pm, a guy on a motorbike wearing a checkered long-sleeved polo shirt approached the vending couple. The guy’s look and physique did not resemble that of locals, but the guy and Domingo exchanged pleasantries in the local dialect, to no one’s surprise. While engaged in their brief conversation, Domingo handed over a tiny notebook and some cash to him. After scribbling something, the guy on the motorbike handed back the notebook to the old man. Everything went smoothly, as if their moves were well-rehearsed and expected. In a jiffy the guy and his motorbike vanished. Classes ended around 5pm. Domingo then pushed the cart back home, concluding a routine day of business. Domingo is a native of Tacloban City, the regional center for education and trade of Eastern Visayas, Philippines. It is comprised of 138 barangays (villages) and a population of 242,000 based on a 2015 census by the Philippine Statistics Authority. It gained global publicity and attention after being massively hit by super typhoon Yolanda (internationally known as Haiyan) on November 8, 2013. Based on the severity of damage it was deduced that the city was the typhoon’s ground zero. Fortunately, not long after Haiyan’s devastation, prominent local and multi-national franchises have either opened or reopened their businesses in the city, allowing for a rapid bounce-back of the local economy. Commensurate to the escalation of big corporations’ is the economic activities and contributions of micro entrepreneurs, specifically the ambulant vendors. Domingo and those belonging to this micro-enterprise sector who sell their merchandise in the open thoroughfares of the city, commonly live in a hand-to-mouth existence. Unable to buy or rent a stall, they market their goods along sidewalks, by transport terminals, in front of the market, or near public or private establishments. 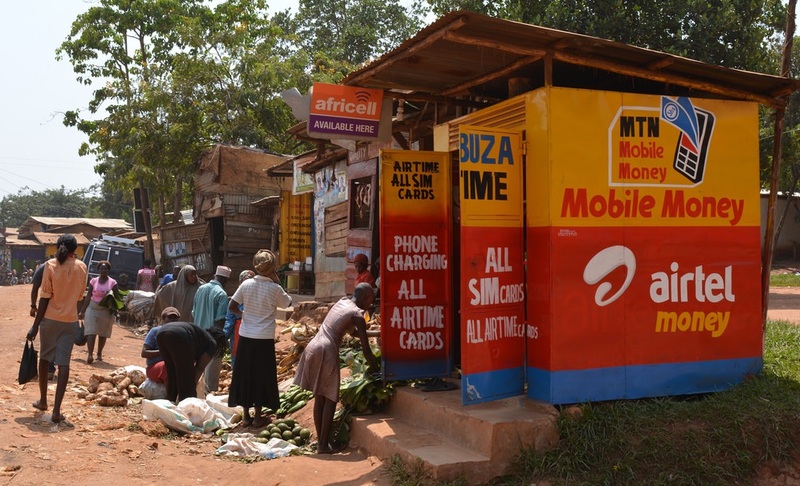 They are peddling goods such as street foods, fruits and vegetables, condiments, accessories, and they render services like shoe and cellphone repairs. Meanwhile, considering the nature of business and being known to have an income generally below subsistence level, ambulant vendors are not compelled by the Bureau of Internal Revenue to pay income tax returns. This somehow adds an appeal to ambulant trading as a viable prospect for those who want to start their foray into a micro-business venture with very minimal capitalization and low tax overhead. Ambulant vending is a boon to those on tight budget that demand easily accessible goods and/or services at a very affordable cost. A serving of banana cue, for instance, would only cost approximately $0.2 from an ambulant vendor compared to $0.3 at canteens or food stalls. Most of the ambulant vendors rely on their daily business income to sustain their daily household needs. In lean seasons, when income hits rock bottom, a lack of savings spells doom for the family and business. It is during these vulnerable times when most of the micro-scale entrepreneurs like ambulant vendors would seek the help of institutions engaged in money lending to keep their business afloat. Unfortunately, with very little to no access to formal financing and the absence of property that could serve as loan collateral, these distressed traders eagerly grab hold of informal money lenders’ helping hands. 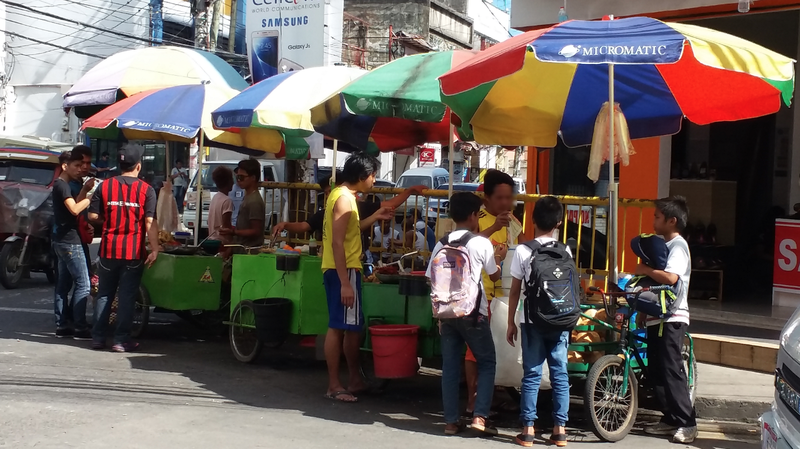 The prevalent practice of informal money lending in Tacloban City, and probably most other cities in the Philippines, is dominated by the “Bombay 5-6” money lenders. The term “5-6” is based on the two lowest numerical figures to clearly represent the nominal 20 percent interest rate. Hence, a person who borrows 5 pesos will have to repay 6 pesos over an agreed period of time (Kondo, 2003)*. Bombay 5-6 is a group of enterprising Indian nationals who have been covertly operating their informal money lending business in the Philippines for a long time. According to Sonny, a Bombay 5-6 lender, their family and relatives have been operating in Tacloban City for almost two and a half decades. Their business operation has been bequeathed from one generation to the next. The considerably high interest rate cleverly imposed on smaller amounts enables them to offer attractive loan deals to locals, and get the returns in two-month’s time or even less. Their clients are mostly micro-scale business entrepreneurs. Bombay 5-6 lenders’ long-term presence in the area has paved the way for them to make friends with the locals, learn their language, adopt their culture, and engage in business with them. In turn, members of the group were able to create a persona, gain the trust of locals and attract them to borrowing money from them. 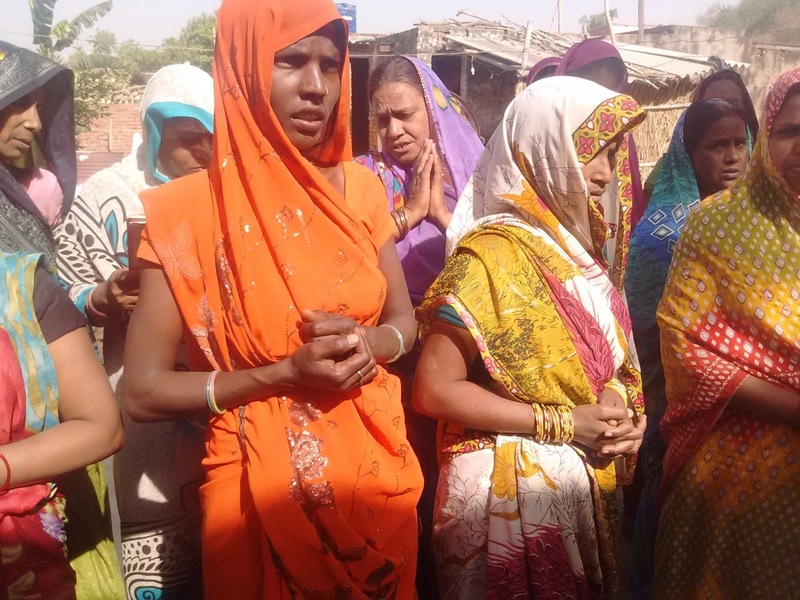 As with many informal money lending practices, obtaining a loan from Bombay 5-6 is plain and straightforward with the absence of paperwork and required documents superficially sweetening the deal. Domingo is amongst those who depend heavily on Bombay 5-6 lenders for business’ and even household’s financial needs. For him, even at its paramount, the interest rate fades into oblivion when he is glaring at the absence of means for survival. He is one of those who has stuck around and continued to push his business even beyond the silver-year milestone of peddling. He was able to go the distance because of his perseverance in bringing his trade close to those who needed it. Domingo and his family may be one of the few who deserve to be admired for exhibiting a vibrant picture of resiliency. Yet on the other side of this resiliency is his daily business visitor, the guy on the motorbike wearing his checkered polo shirt and rocking his motorbike across the distance, booting obstacles along the way to bring Domingo a link for the chain that holds their mutual existence on a continuum.